One of the major things that I like about the new Common Core Reading and Writing Standards for Literacy in History-Social Studies is the emphasis on writing essays. Teaching writing is difficult, and grading papers is both time-consuming and subjective, but I know of no better way to evaluate students’ understanding of historical issues. Writing is also a learning tool for students, and I find that students routinely perform better on essay tests than on multiple-choice tests. When a student can explain his or her logic and understanding, the teacher can see where to modify instruction. Using sentence frames and other scaffolds to teach students how to write claims, arguments, thesis statements and interpretations helps young students, English learners, and those who struggle with writing. If you give them a proper beginning to the sentence, they can often fill in the rest of the sentence with their own ideas. You are teaching them how to express their reasoning in an intellectual style. The teacher explains to students that when historians interpret change over time, they look at what was said in the beginning, when and how it changed, and what was said at the end. In order to answer this question, the students have to make an interpretation based on the evidence. 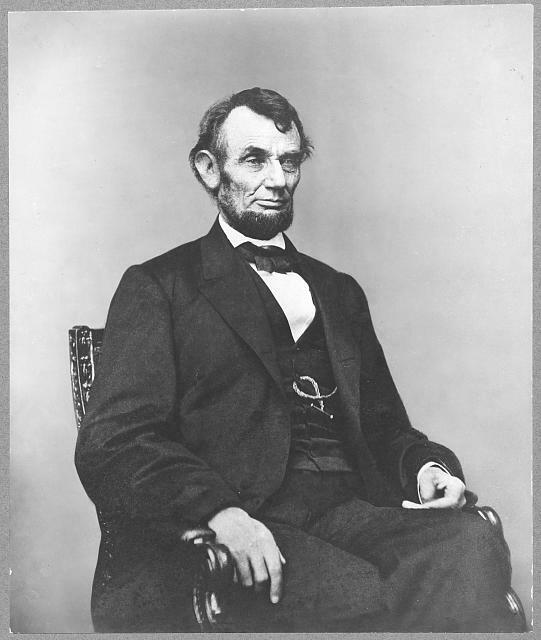 Instructions are included on the student handout CW5.7 Historical Interpretation: How did Lincoln’s reasons for fighting the war change over time? Here are three “interpretation starters.” Discuss them with your group, select the starter that best fits your interpretation, and fill in the blanks. Then write your interpretation in the space below. A. In the beginning, Lincoln argued that the reason for fighting was ________________________________________, but by the end of the war, his reason(s) had changed to ___________________________________________. B. In all of his speeches, Lincoln had the same reason(s) for fighting the war, which was ___________________ _____________________________________. C. In the beginning, Lincoln argued that the reason for fighting was ____________________________________, but by the end of the war, he added a reason(s), which was (were) __________________________________________. Students discuss in small groups, select a sentence starter, and fill in the blanks. The students still have to think about the question, but the sentence starters help them express their ideas in academic language and in a form appropriate to the discipline of history. This lesson continues with a graphic organizer invented by the UC Berkeley History-Social Science Project, called an Evidence Gathering Chart (or EARS, for short). This chart helps them to select good evidence from the primary sources and analyze it, in preparation for writing. With these scaffolds, even students who struggle to write sentences can make an interpretation about change over time, express it in academic language, and support that interpretation with evidence. As students become more proficient, the teacher gradually removes the scaffolds. No matter what career paths students follow, they all have to know how to write. We can help them. For more, see historyblueprint.org.